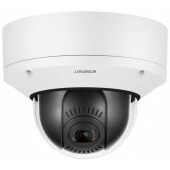 IP Fixed/Static dome cameras are the most widely used camera category because of their ease of installation and the fact that their appearance blends in nicely with most architectural environments. 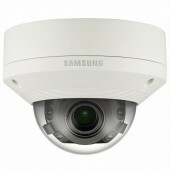 It makes sense then, that Samsung would offer a wide selection of fixed dome models in their IP camera line. 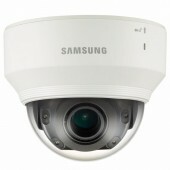 From low cost indoor models to high performance environmental versions, Samsung has what you are looking for. Exchangeable 4ea x 2MP / 5MP lens modules8MP to 20MP resolution depend on the combination of lens modules. 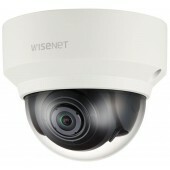 WDR 150dB with 2MP lens module, 120dB with 5MP lens module. 2.4mm, 2.8mm, 3.6mm, 6mm, 12mm fixed lens (2M module). 3.7mm, 4.6mm, 7mm fixed lens (5M module). Max. 2MP (1920 x 1080) resolution. 4.44~142.6mm (Optical 32x) lens. 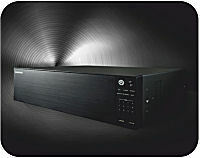 WDR 150dB, Day & Night (ICR). Max. 60fps@2M, Max. 30fps@5M (H.265 / H.264). H.265, H.264, MJPEG codec support. 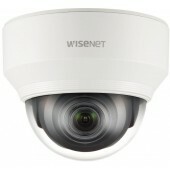 Video Analytics, WiseStream II support. SD / SDHC / SDXC memory 5 slots. Max. 7.3M (4096 x 1800) resolution. Built-in 3.6mm fixed lens. H.265/H.264 : Max. 30fps at all resolutions MJPEG : Max. 15fps at all resolutions. H.265, H.264, MJPEG codec supported, Multiple streaming. Motion detection, Hand over to PTZ, Tampering, Defocus detection, Digital auto tracking, Heatmap. SD/SDHC/SDXC (128GB) memory slot, PoE+ / 12V DC. 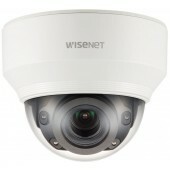 WiseStream supported, IP66, IK10. Exchangeable 4ea x 2MP / 5MP lens modules 8MP to 20MP resolution depend on the combination of lens modules. Max. 60fps@2M, Max. 30fps@5M (H.265 / H.264). 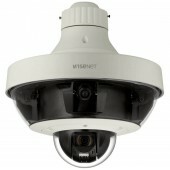 WDR 150dB with 2MP lens module, 120dB with 5MP lens module. 2.4mm, 2.8mm, 3.6mm, 6mm fixed lens (2MP module). 3.7mm, 4.6mm, 7mm fixed lens (5MP module). H.265, H.264, MJPEG codec, Multi streaming support. 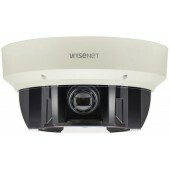 Video analytics, WiseStream Ⅱ. IP66, IK10, SD / SDHC / SDXC memory 4 slots. Max. 15M (6096x2540@180˚, 7744x1936@220˚) resolution. 180˚/220˚ panoramic stitching image. Panoramic stitching, original, crop view channel support. Max. 30fps at all resolutions (H.265/H.264 ). H.265, H.264, MJPEG codec, WiseStream II supported. Tampering, Loitering, Directional detection, Virtual line, Enter / Exit, (Dis)Appear, Audio detection, Motion detection, Handover, Sound classification, Heatmap. micro SD/SDHC/SDXC 2 slots, PoE+, IP66, IK10. 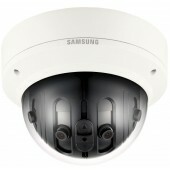 8MP Multi-directional 360˚ Camera. 4ea x 1920x1080 resolution (Max. 8MP). 4ea x 2.8 ~ 12mm (4.3x) motorized varifocal lens. 4ea x Max. 60fps@2M (H.265, H.264). Digital Image Stabilization with Built-in Gyro Sensor. H.265, H.264, MJPEG Codec Supported. Day & Night (ICR), WDR (150dB). 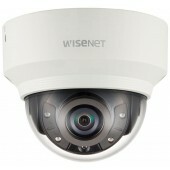 Motion detection, Tampering, Advanced Video Analytics. SD / SDHC / SDXC Memory slot, WiseStreamII Support. 2ea x 1920 x 1080 resolution . Max. 60fps@2M (H.265 / H.264) . H.265, H.264, MJPEG codec supported . Day & Night, WDR (150dB) . Loitering, Directional detection, Fog detection . 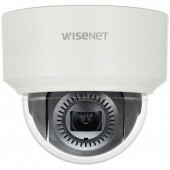 Motion detection, Tampering, WiseStreamII Support . SD/SDHC/SDXC memory 2 slots (each camera). 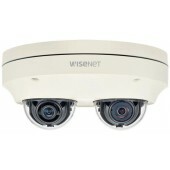 20MP Multi-directional 360˚ Camera. 4ea x 2560 x 1920 resolution (Max. 20MP). 4ea x 3.6 ~ 9.4mm (2.6x) motorized varifocal lens. 4ea x Max. 30fps@5M (H.265, H.264). Digital Image Stabilization with Built-in Gyro Sensor. H.265, H.264, MJPEG Codec Supported. Day & Night (ICR), WDR (120dB). 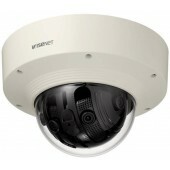 Motion detection, Tampering, Advanced Video Analytics. SD / SDHC / SDXC Memory slot, WiseStreamII Support. Built-in 2.8mm fixed lens. Max. 60fps@all resolutions (H.265 / H.264). H.265, H.264, MJPEG codec supported, Multiple streaming. WDR (150dB), Defog. Loitering, Directional detection, Fog detection, Audio detection, Digital auto tracking, Sound classification, Heatmap, People counting, Queue management, Tampering. Motion detection, Handover. SD / SDHC / SDXC memory slot (Max. 256GB), PoE. Hallway View, WiseStreamII Support. LDC support (Lens distortion correction). 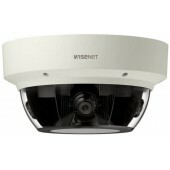 2M Network Dome Camera. Built-in 2.4mm fixed lens. Max. 60fps@all resolutions (H.265/H.264). Day & Night (ICR), WDR(150dB). Loitering, Directional detection, Fog detection, Digital auto tracking, Sound classification, Heatmap, People counting, Queue management, Tampering. Motion detection, Handover. Dual SD slots (Max. 512GB). Hallway view, WiseStream II support, IK08. Hanwha Techwin and analytic specialists A.I Tech have jointly engineered two retail store optimisation solutions to enable retail chains, as well as small outlets such as convenience stores, newsagents and petrol stations, to gain a greater understanding of the type and numbers of people who visit their stores. 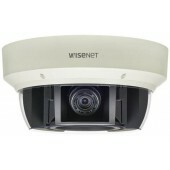 2M Network Dome Camera. 2.8 ~ 12mm (4.3x) motorized varifocal lens. Max. 60fps@all resolutions (H.265/H.264). Day & Night (ICR), WDR(150dB), Defog. Loitering, Directional detection, Fog detection, Digital auto tracking, Sound classification, Tampering. Motion detection, Handover. Dual slots (Max. 512GB). Hallway view, WiseStream II support, IK08. 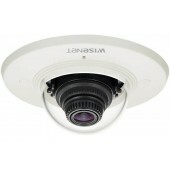 2M Network IR Dome Camera. 2.8 ~ 12mm (4.3x) motorized varifocal lens. Max. 60fps@all resolutions (H.265/H.264). Day & Night (ICR), WDR(150dB). Loitering, Directional detection, Fog detection, Digital auto tracking, Sound classification, Tampering. Motion detection, Handover. Dual SD slots (Max. 512GB). Hallway view, WiseStream II support. IR viewable length 30m, IK08. extraLUX (world's best low light camera). Max. 2Megapixel (1920 x 1080) resolution. 4.1 ~ 16.4mm (4x) motorized varifocal lens. 0.004 Lux@F0.94 (Color), 0.0004 Lux@F0.94 (B/W). Max.60fps@all resoltuons (H.265 / H.264). H.265, H.264, MJPEG codec Supported, Multiple streaming. Day & Night (ICR), WDR (150dB), Defog. Loitering, Directional detection, Fog detection, Audio detection, Digital auto tracking, Sound classification, Tampering. Motion detection, Handover. SD / SDHC / SDXC memory slot (Max. 512GB). Hallway View, WiseStreamII Support. LDC, PoE / 24V AC / 12V DC, Bi-directional audio Support. Max. 2 Megapixel resolution. 0.015Lux@F1.4 (Color), 0.0015Lux@F1.4 (B/W). Day & Night (ICR), WDR (150dB / 120dB). Modular structure and motorized PTRZ. Hallway View, WiseStreamII Support. Video & audio analytics, Audio playback. DIS and shock detection with built-in gyro sensor. IP52/IK10, PoE, 12VDC.